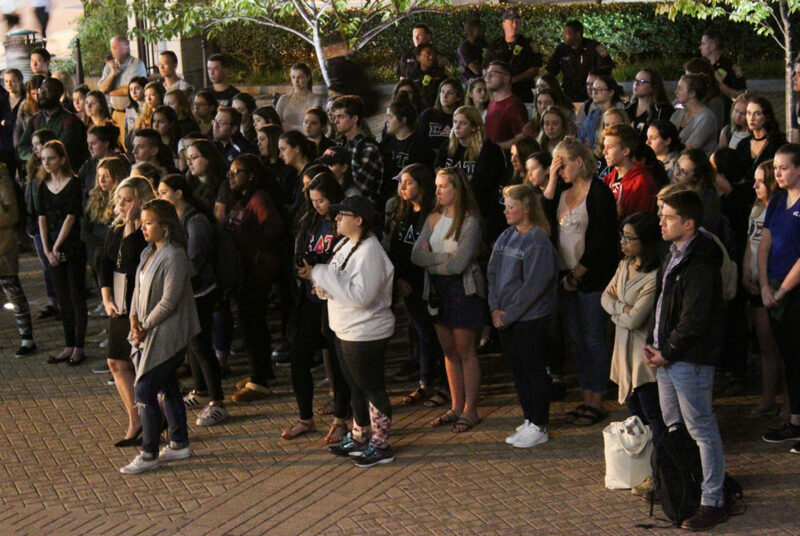 A group of student organizations held a vigil to honor 9/11 first responders in Kogan Plaza Monday night, the sixteenth anniversary of the terror attacks. Updated: Sept. 13, 2017 at 1:10 p.m.
About 100 people gathered in Kogan Plaza Monday night for a candlelight vigil to honor the first responders who charged into danger during the terror attacks on Sept. 11, 2001. On the 16th anniversary of the attacks, three first responders to the crash at the Pentagon spoke to the crowd about how the events of that day changed their lives and taught them about the value of serving their country. GW Veterans and Sigma Delta Tau co-sponsored the vigil with the Panhellenic Association, the Interfraternity Council, Class Council and several other student organizations. Here’s what you missed from the event. Capt. Gregg Karl, the first speaker at the vigil, was originally off from work the day of the attack but quickly headed to the Pentagon after it was struck. He worked through the night and into the following day with emergency crews searching for spot fires in the still smoldering building and retrieving files and computers. “It’s one of those things that as a rookie, I’m thinking to myself ‘what did I get myself into.’ But I’ll be honest with you, this is the greatest job in the world, to be a firefighter,” he told attendees at the event. Karl said the response he and his fellow crew members received from the public in the aftermath of the attacks was overwhelming. 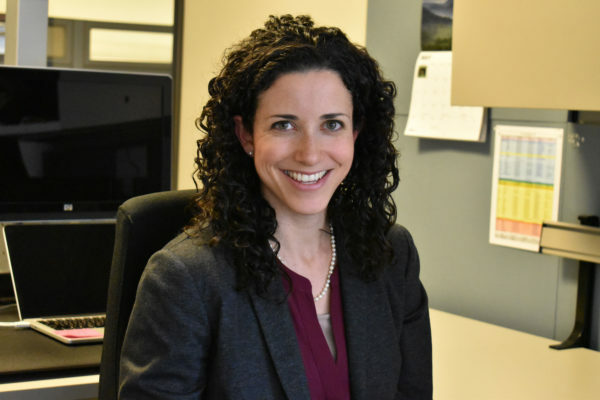 Andrea Kaiser had about seven years of experience as a first responder when she saw hijacked American Airlines Flight 77 veer into the Pentagon directly in front of her. She said the scene resembled a warzone and the team grabbed everything they could, unsure if they would survive. Many of her fellow firefighters did not make it out of the building alive, she said. “I just want to thank you, and I feel very blessed to be here because a lot of my comrades and fellow female firefighters in New York did not have the opportunity to speak today,” she said. Frank Miller was on Ladder 10 truck that was dispatched to the Pentagon. He said the tragedy made him realize the United States was a place where people persevered through tragedy. “Even though an evil occurred, something came about it,” he said. He said the inferno engulfing the Pentagon so hot that his mask melted and his coat caught on fire. He wasn’t sure he wasn’t going to make it out alive, he said. An earlier correction posted in this story was not accurate. The post has been updated to reflect the original facts presented.